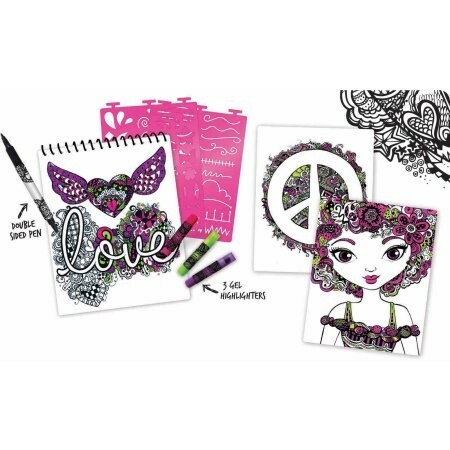 Learn to draw outside the lines with this creative Fashion Angels Portfolio Set, Zendoodle Illustration! It includes 30 drawing pages in a spiral notebook, three gel highlighters and a double-sided pen. This kids' craft kit also comes with several unique stencils that include flowers, hearts, butterflies, the sun and moon, geometric shapes and more. 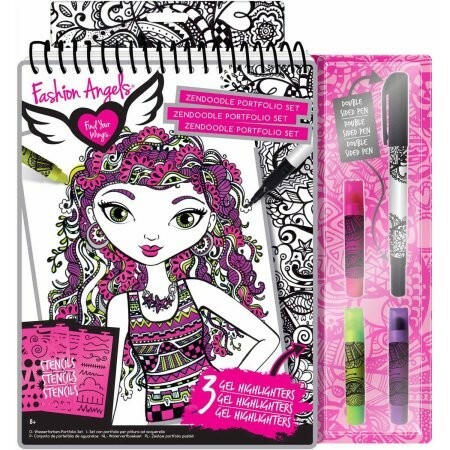 Use the black pen to draw fashion outlines and the highlighters to shade in the designs. 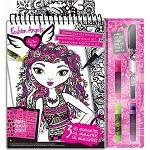 Recommended for kids 8 and older, this Fashion Angels sketch portfolio is relaxing, inspirational and fun!